One of the best things you can do to get your hormones in balance, bring down inflammation and improve your energy levels is to dial in your diet. Eliminating inflammatory foods and focusing on getting nutrient dense, whole foods into your diet can truly make all the difference in feeling your best. I know it did for me. Back in 2013, when I first stumbled on some information about how ditching inflammatory foods like gluten, dairy and soy could drastically shift my thyroid health and possibly put an end to the fatigue, hair loss, joint pain and depression that I battled daily, I was floored- and a little skeptical. Could ditching these inflammatory foods really help me get my health back on track and feel better? I was desperate, so I decided to give it a go and ditch wheat, dairy products, soy and sugar. There was just one problem. I had no idea what to eat or how to cook without those foods in my life. Wheat was in just about everything I ate. Waffles for breakfast, a sandwich for lunch and pasta for dinner- gluten and dairy didn't just make a regular appearance on the table, they were the foundation of my daily diet. And even though I love to cook and enjoy being in the kitchen, I had no idea how I was supposed to create delicious, easy meals without them. Thankfully, I recognized that these changes were key to regaining my hormone health and energy and took the plunge anyways- but not without a lot of frustration, and more than a few unsuccessful attempts at making meals that were both healthy and delicious. Thankfully, I stuck with it and found that changing my diet made major improvements in my health- my energy levels improved and the joint pain, mouth sores and insomnia disappeared within weeks. Eventually, I followed the Paleo Autoimmune Protocol (AIP) to really deal in my health and noticed even greater strides in resetting my thyroid and energy. While following a healing protocol like AIP or GAPS, can make all the difference in repairing the gut and dialing down the inflammation related to thyroid dysfunction, let's be real: It can also be tough to navigate. When you are following a restricted diet where your options are limited, you can't just fly by the seat of your pants anymore. Learning to cook and meal plan was key to making it through a healing protocol- and it's still a huge part of sticking to a healing, anti-inflammatory diet on a daily basis. Lets face it, it doesn't take any real effort to fill up on junk- it's everywhere. 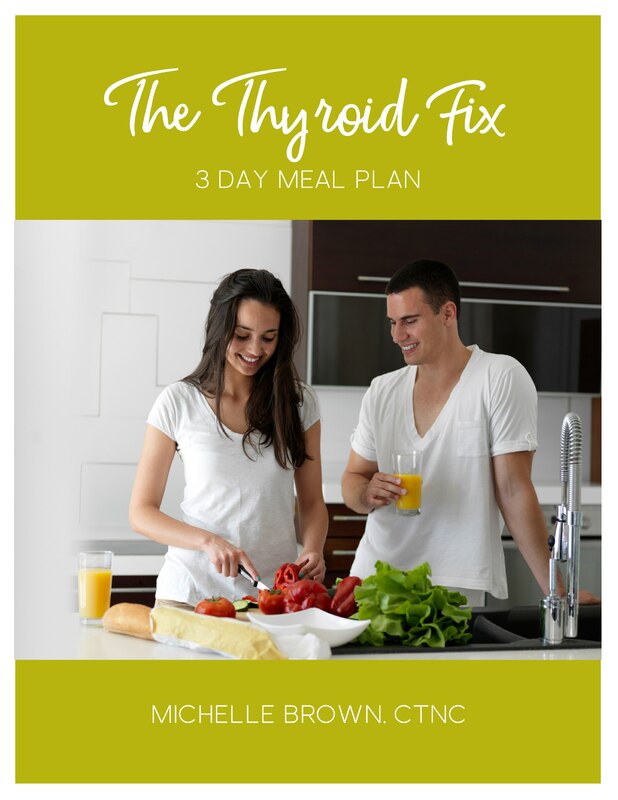 But if you're going to use food to fix your thyroid, reset your energy and feel your best- you're going to have to put in the work to plan ahead. 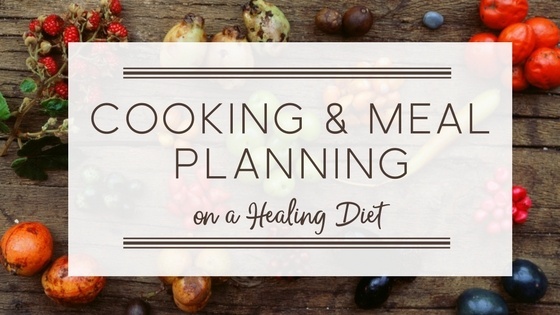 With that in mind, let me share with you my top tips for mastering cooking and meal planning while sticking to a healing protocol. There's a reason Cultivating a Healthy Mindset is the first step on my Thyroid Fix Roadmap: any change is tough and when it comes to changing your diet, if you don't approach it with the right mindset and cultivate the right beliefs, you won't last very long, sister. In fact this was a huge problem for me on my own healing journey. I was amazed at how good I felt when I changed my diet and how much energy I had. But after a few months, I let myself get burned out, felt sorry for myself because everyone else could eat pizza while I was restricted to meat + veggies, and I gave up my healing diet and went right back to my SAD ways of eating. And within a few months I was right back where I started, struggling with fatigue, joint pain, depression and the whole nine yards. I had to give myself a serious pep talk at that point. It was either take the easy way out and stay miserable, or do the work it took to feel my best so I could move past survival mode and start truly thriving. You can probably guess which option I took. Recognize that what you are gaining from prioritizing your health is infinitely more valuable than anything you are losing. Sure, you might miss coffee or chocolate for a while, but think about all that you'll be gaining: abundant energy, clear thinking, better moods- all of which can translate into an improvement in everything that is meaningful to you, from your relationships to your ability to do the work you love. 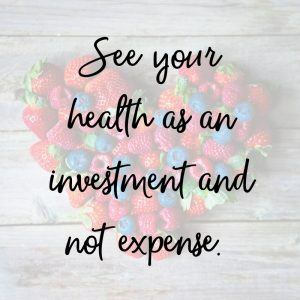 Prioritizing your health is always worth it, so learn to start looking at the benefits instead of the losses. Move from a deprivation mentality to one of abundance. One of the best things about ditching inflammatory foods that were taking up space in my diet? It gave me the chance to expose myself to- and learn to love- a whole new range of foods like wild-caught salmon, spaghetti squash and sauerkraut. Not only did I develop a love for whole, real foods, I realized that processed food tasted just that- processed, chemical-laden and over-sweet, while leaving me craving something more. I finally figured out that I wasn't missing out on anything by ditching the junk- I had actually been missing out on a whole world of amazing foods by sticking to the same old, boring grain-based diet, day after day. Once you cultivate the right mindset, the next step is to stick to a plan. When your options are limited, the best thing you can do to keep from reaching for the donuts or hitting the fast food drive thru is to plan ahead. If you're like me, you probably find the idea of meal planning a little tedious. For some reason, whenever I sit down to stare at my weekly planner and feel the pressure to fill it with delicious, home cooked, nutrient dense meals that are quick, simple to prepare and easy to clean up... oh wait, sorry, I think I just drifted off into a fantasy world there. Fortunately, I have a fail proof method for turning a healthy, quick meal from fantasy to reality. I call it my 3 S Meal Plan System. Here's how the plan works: simply pick a protein, pick your veggies and then pair it all with a health fat and then combine it into a simple salad, stir-fry or soup (the three "S's") and voila! You've got a healthy meal on the table in under 30 minutes. Grab a can of wild caught salmon, salad greens, chop some red onion and carrots and top with some apple cider vinegar and olive oil for a simple salad. Brown some ground beef in a skillet in a little bit of beef tallow (a healthy fat), along with chopped zucchini, tomato and onion for a quick stir fry meal. Be sure to season liberally to really kick the flavor up a notch- cilantro, cumin and Chile powder would be yummy. Throw some chopped, cooked chicken in a soup pot with carrots, onions, potatoes and peas and add some bone broth. Season and simmer for 20 minutes and there you have it- dinner on the table in no time flat. This is how I plan (or maybe I should call it "un-plan") a lot of meals around our household. As long as there's some protein, some veggies and some healthy fat in the pantry, I can combine it all into a tasty meal within minutes. But let's face it. Sometimes you're in the mood for something a little more exciting and you just need a some inspiration. 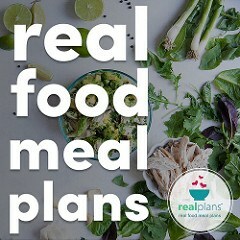 This is where my favorite meal planning tool comes in- introducing Real Plans. Oh, and if you don't like a certain recipe they suggest for your weekly plan? Toss it out and search their recipe box for a meal that suits your tastes and still meets your dietary restrictions. Here's where Real Plans does meal planning on steroids. First of all, they've got plans you can choose based on your specific dietary needs. Following the AIP diet to dial in your thyroid health? Is your family doing GAPS to get your gut health back on track? Want some simple gluten free recipes to help you navigate a gluten free diet? Real Plans customizes your plans based on the criteria you give it. To be honest, I've never been a big fan of meal planning services. I just found I never used them or I wasn't a fan of the meal plan it stuck me with. Or it required me to upload all my favorite recipes into their database and who has time for that? Isn't the point of a meal planning service to save time? You can adjust your meal plans based on the size of your family. But the best part just might be the access you get to over 1,500 recipes, many from your favorite AIP, GAPS and Whole Foods bloggers! These aren't your average, boring meals that make you wish you were still on the SAD diet. With recipes like "Zoodles with Pesto and Roasted Tomatoes" to "Salmon Sushi Bowl" there's a recipe for every taste and interest. I also really like the "Serve with" suggestions, which recommends several side dish options to pair with your main dish if you need a little inspiration. Planning a side dish my kids will actually eat is a chore in and of itself, but with Real Plans you are never without the inspiration to come up with a meal that is not only healthy and wholesome, but delicious too. And that's not a fantasy. Even better? I no longer have to stare at a blank planner, hoping inspiration strikes. Now I've got a full meal plan ready at my fingertips. Check out Real Plans below. And leave me a comment. What are your best tips cooking and meal prep tips for sticking to a whole foods diet? I'd love to know! I know it did for. Me (share my story of my healing diet journey. But it wasn’t easy, I knew what I wasn’t supposed to eat and what I should eat- but how did I translate that into delicious, easy to prepare meals- and how the heck did I afford it. Here’s my best tips and tricks for navigating a healing protocol without a lot of drama.